Haberdashery is interested in exploring how light can instigate a positive emotional response with the public by challenging how it is used, by centring on how technology can reach us on a personal level rather than being distracted by the technology in its own right. 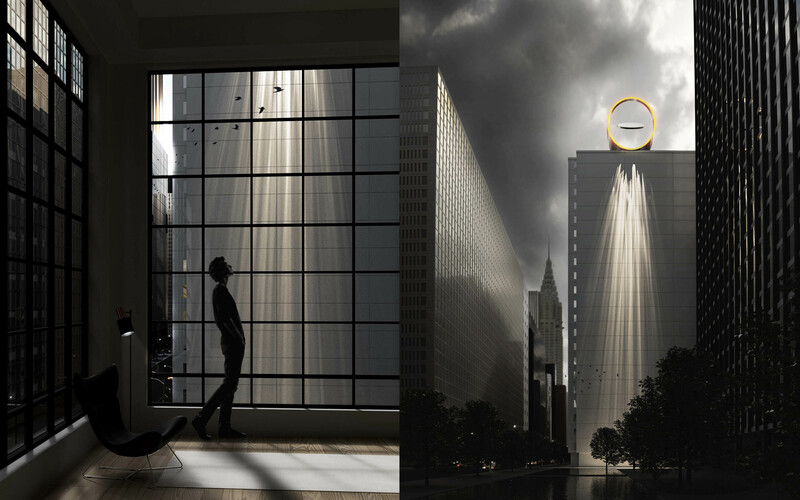 Haberdashery is obsessed with creating emotional connections through the language of light; we have recently turned our attention to working at a city skyline scale to achieve this. 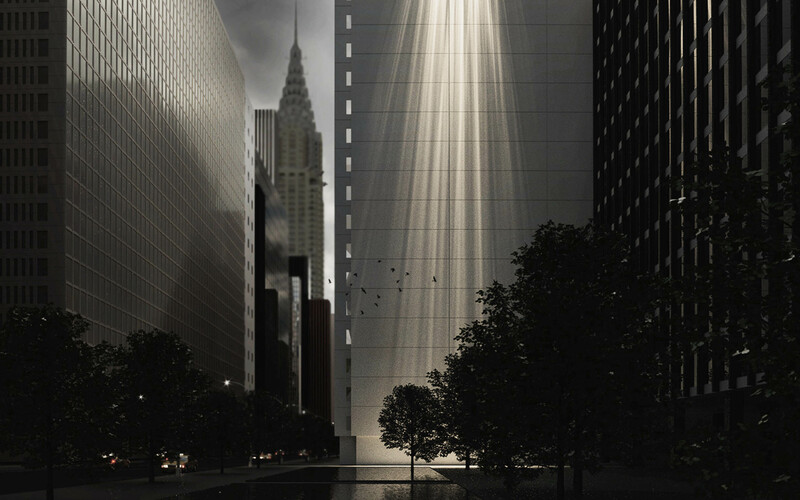 As our cities grow ever taller, so parts of the ground level below become starved of light just like a forest floor. 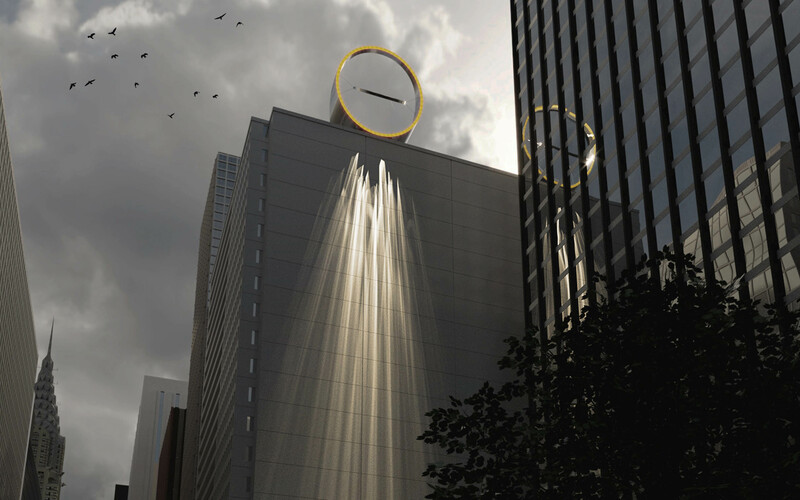 Helio Ray redirects sunlight from above the skyline and brings it back down the side of buildings to create a dialogue between the citizens below with our nearest star during daylight hours. 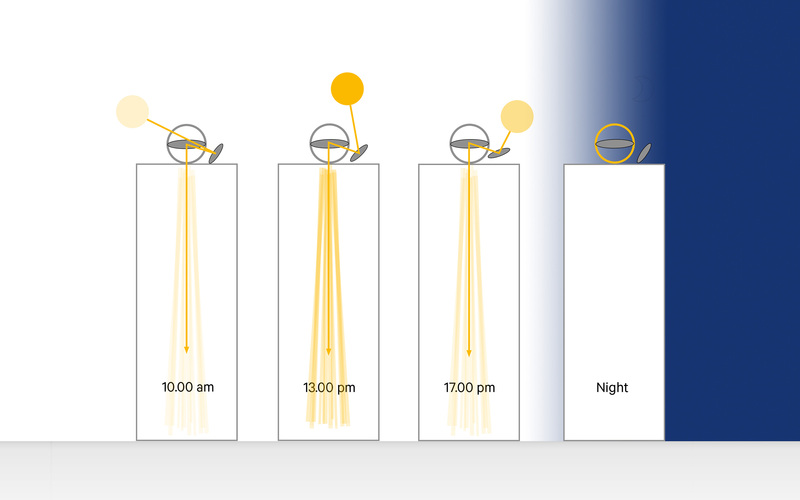 Sunlight has a huge effect on our physiology and wellbeing; it influences our circadian rhythms, provides vitamin D and illuminates our environment bringing out the true colour of the surfaces, architecture and the urban grain. 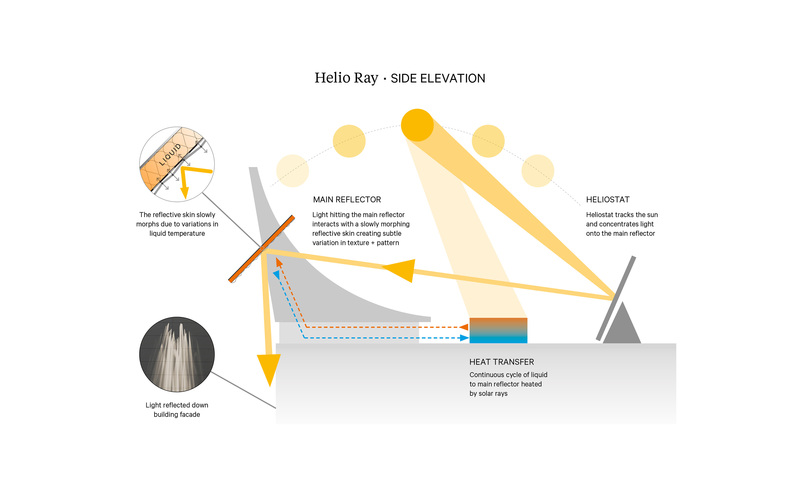 Helio Ray is a conceptual project underpinned by solid engineering knowledge and innovation. 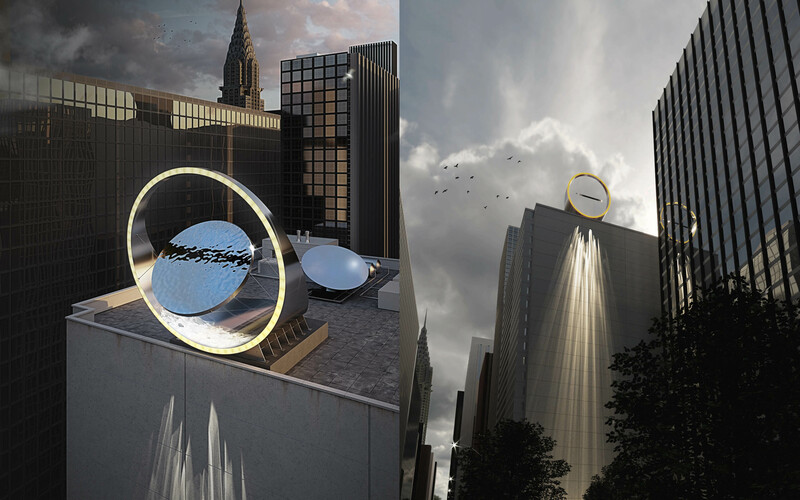 Mounted on the top of a tall building, it is fuelled by light collected from a Heliostat; a mechanised mirrored surface that automatically tracks the sun and gathers it into a concentrated beam. 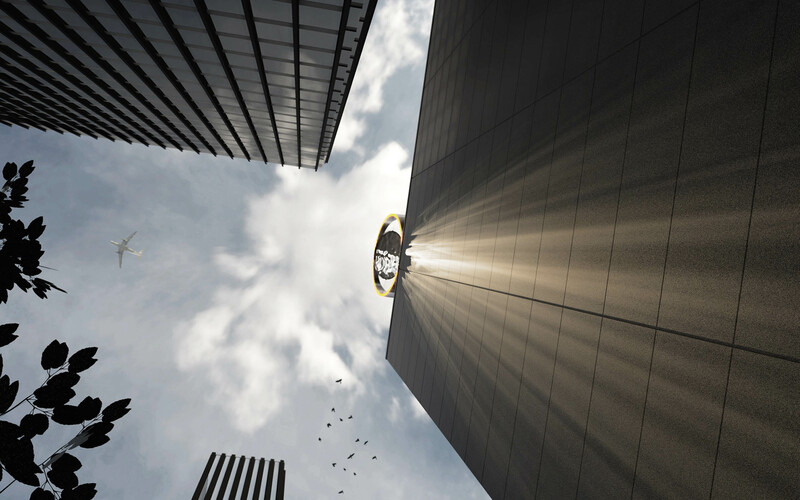 This beam of light when reflecting off a second custom-designed reflector that sending shafts of light down the side of a building creating awe-inspiring ‘god ray’ effects. The second reflector uses a faceted surface designed to warp and distort in a controlled manner under the heat of the sunlight itself, providing a slowly evolving pattern of reflected light. The effect comes and goes like the real sun above, so is a true extension of the actual sun’s reach; a calming intervention in a man-made space. 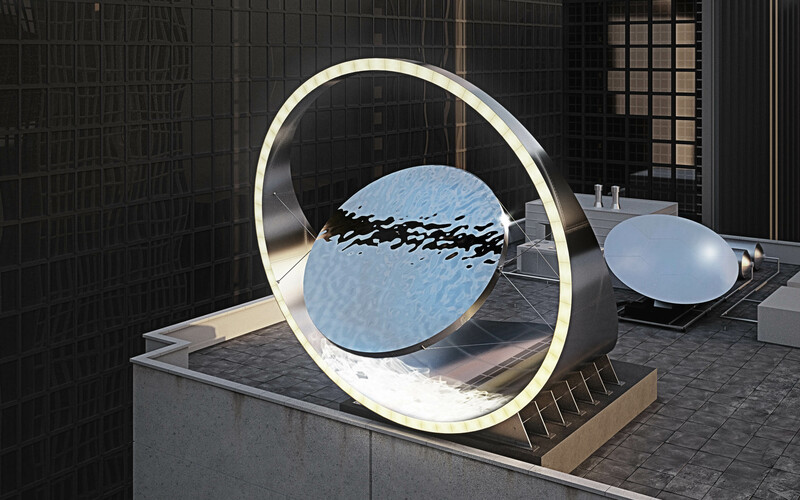 This main reflector is housed in an illuminated circular motif to draw attention to the form during night. 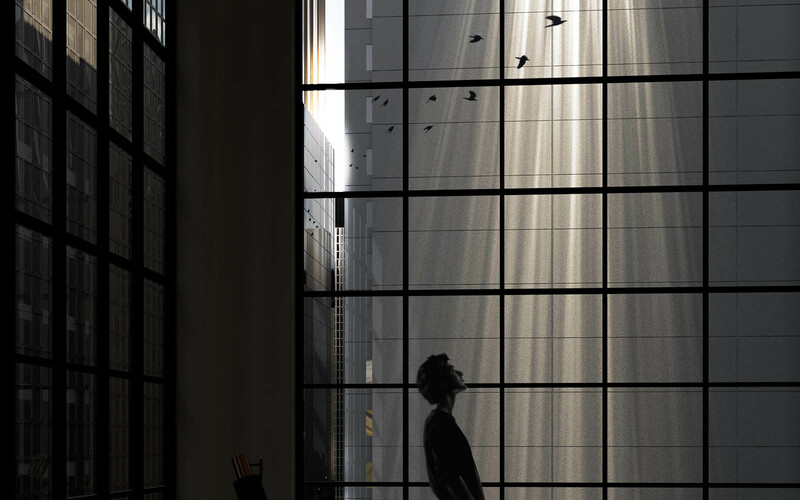 Helio Ray can bring a sense of wonder and pride back into areas that had become transient spaces lost in shadow, rejuvenating them as landmark destinations. It continues a history of rooftop architecture in New York’s mid-height buildings such as advertising hoardings, water towers, illuminated signage and more recently phone masts. Haberdashery centre on how technology can reach us on a poetic level rather than being distracted by the technology in its own right.